Thekla's Lark (Galerida theklae). Taken in Extremadura, Spain, on November 12th 2018. Taken in Extremadura, Spain, on November 12th 2018. 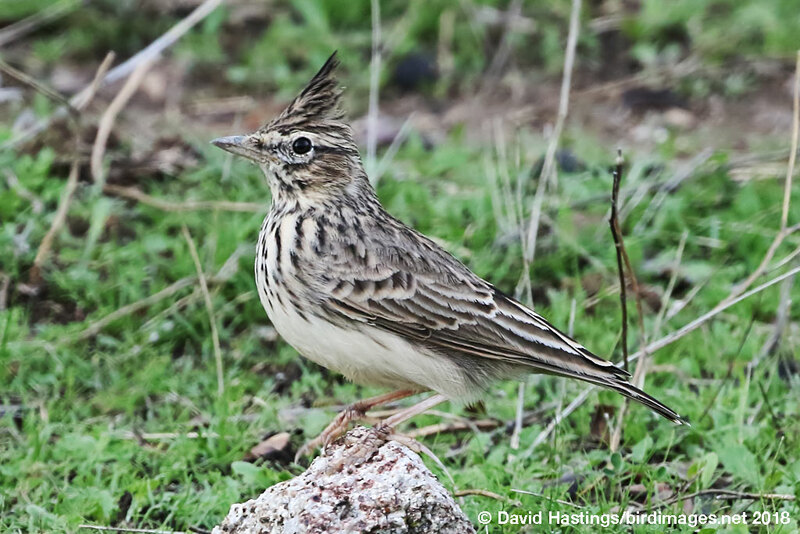 Similar to the Crested Lark, but slightly smaller and has a shorter, less pointed bill. It has a long, spiky, erectile crest. Twelve subspecies are recognized. It is found in the Iberian peninsula and north Africa. It breeds in arid habitats, often at high altitude on barren mountain slopes or dry steppe. Also in cork oak savanna on sandy soil.